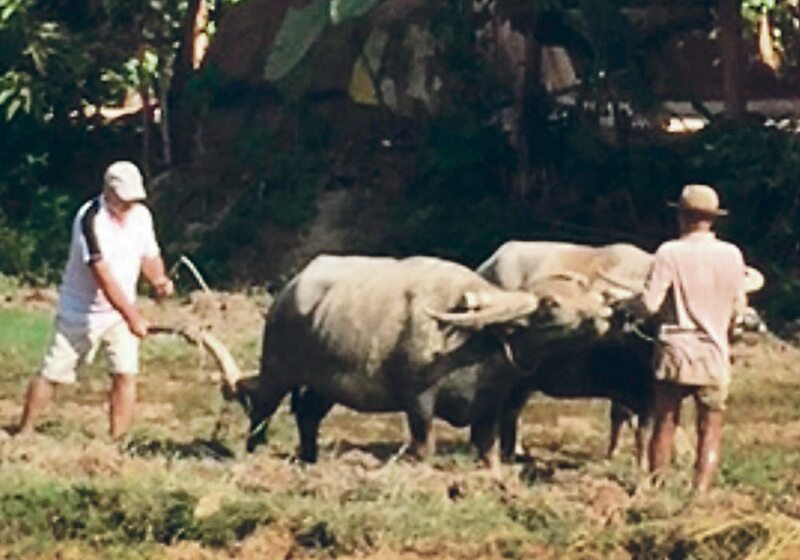 We are all aware of the impact of drought on crop yields, but what is happening in the field goes far beyond faulty plants and can last for several years, even when precipitation returns to otherwise normal levels. Drought causes several soil processes to slow down or virtually stop. Reduced crop growth and nutrient uptake, but with greater nutrient concentration in the plants. Reduced physical, chemical and biological activity, most notably mineralization, denitrification and assimilation. But what do these reductions mean? Residual nutrients, especially nitrogen, were not used because there was poor or reduced growth. 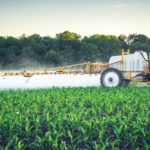 Similarly, some or most of the applied fertilizer may have remained unused and, depending on application methods, may be stranded in the surface soil horizon. The nutrient remains in place when little or no water moves downward. Occasional rain did fall, often too little and too late, but it created flares of microbial activity and some re-growth. What results from these changes? Nitrogen soil test levels will be higher than normal. These levels can persist for a few years as shown in the two graphic examples provided. These illustrate the impact of the drought in the late 1980s and how that persisted. The variability of soil test levels increases, which can throw off efforts to get a picture of what nutrients remain available to the next crop. Soil texture and moisture tend to vary considerably across a field in drought years, and crop growth and nutrient uptake will also vary. These facts magnify the benefits of zone soil sampling. Composite samples made from a number of locations may contain sub-samples with extremely variable levels, and the average becomes less meaningful. 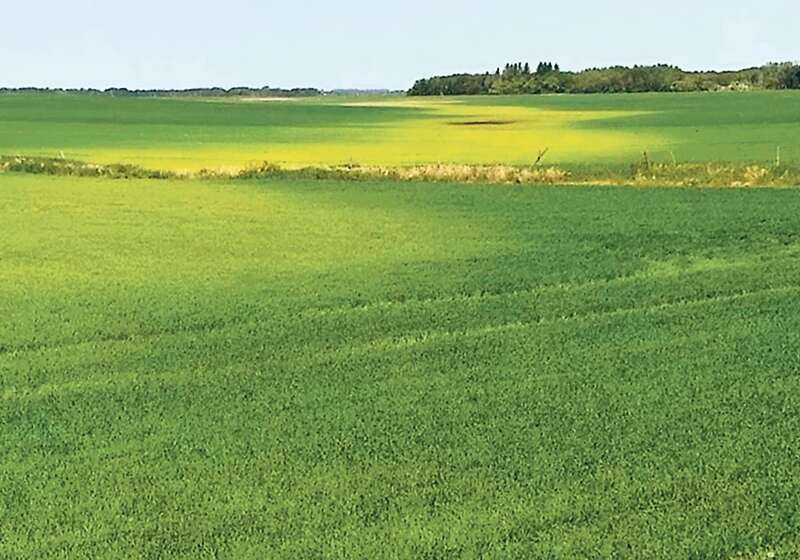 Samples taken from similar areas that make up a zone will result in a much clearer vision of what nutrients remain in the different areas of a field. This might create a real opportunity to look at variable rate nutrient application for your farm. 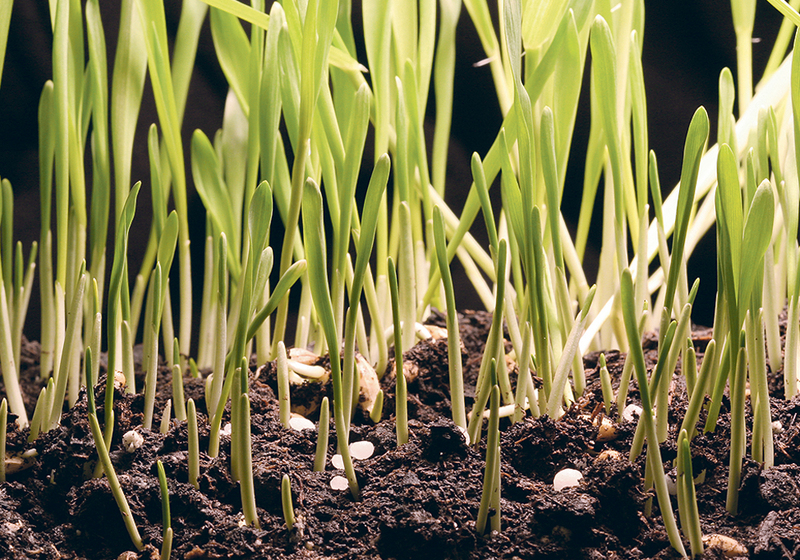 You may notice a decrease in soil pH that can be followed by an increase in electrical conductivity readings, showing the presence of salts and available phosphorus. These will correct themselves in time, as you can see in the graphics. 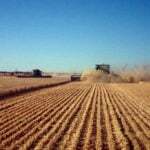 Crops will yield grain with higher than average protein in the drought year and shortly after. Now what should you do about it? Review the zone maps with this year’s aerial or satellite imagery. Modifications to your previous zones might be required to account for the impact of this year’s drought. Ground truth areas you are not sure of. Remember that you have high variability in the fields. Increase the number of samples that you take per zone. Strive to take 14 to 16 or more samples per zone so that you have good intelligence on what is really out there. You might have more than you counted on, or less, but there is only one way to find out for next year. When taking your own soil samples, make sure that the probe is full of the sample. Sandy soils, when dry, tend to be loose and soil might fall off at the bottom of the probe. Soil sampling and banding can begin earlier than is usually recommended because of reduced biological activity in dry soil. However, if rainfall occurs before the soil temperature falls below 10 C, these processes might give an inaccurate fertilizer recommendation or convert nitrogen into forms that can be lost. Next year’s fertility requirements, especially nitrogen, are likely to be less than what has been recommended for the past decade. However, be leery of any zero recommendations because there are bound to be errors with such great variability in soil test values. Set a logical lower limit for recommendations. If it seems too good to be true, it probably is. 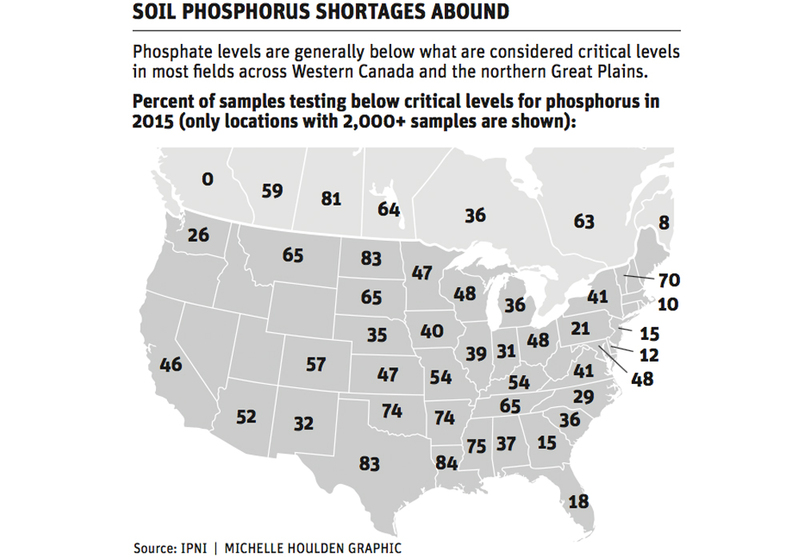 Be suspicious of decreased phosphorus recommendations be-cause they might be due to a decrease in soil pH. This will be temporary. Use fertilizer additions and crop removals over a four-year period to come up with a sustainable phosphorus fertility strategy, balancing applications to removals. Product choice and timing are going to be critical this next season. Avoid new products with silver lining promises. Instead, invest in testing and reliable advice. 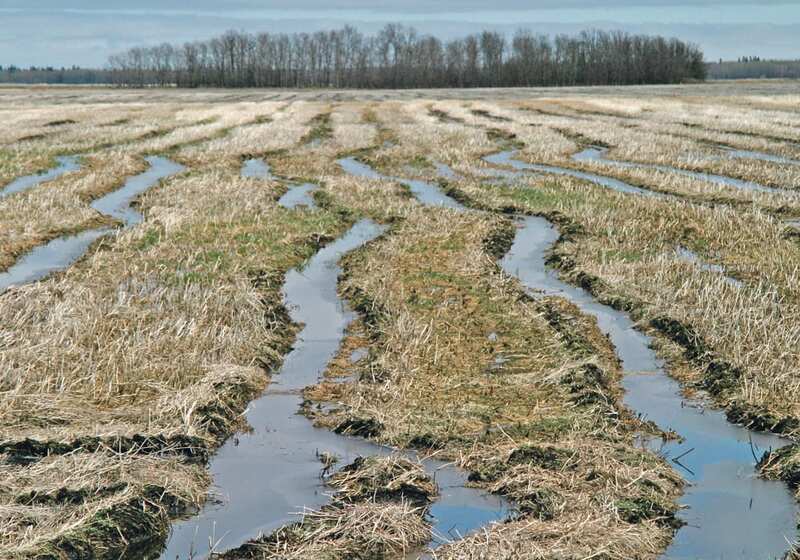 Products applied to the soil’s surface have a higher likelihood of being stranded than products banded five to 7.5 centimetres below the surface. 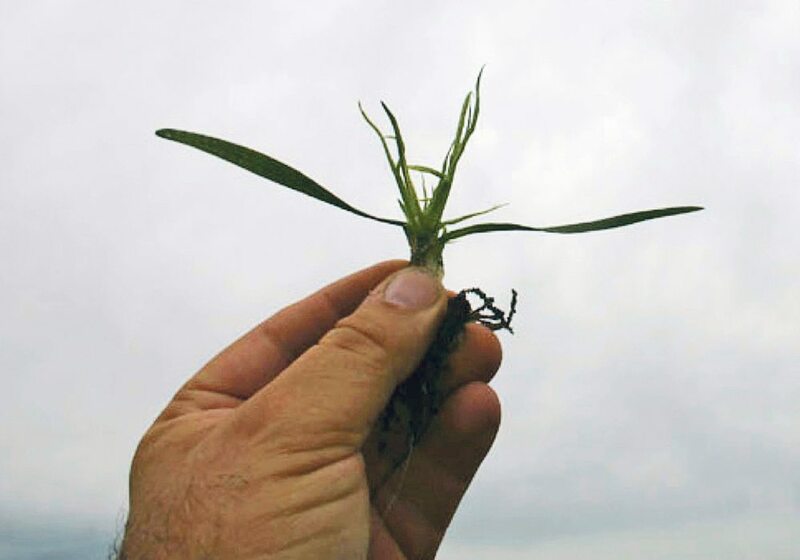 Fall banding has been shown to have a greater advantage over other applications in dry conditions, as compared to the same technique in moist conditions. Urea and anhydrous ammonia are the best choices for fall applied fertilizers. Anhydrous ammonia is absorbed quickly by the soil, even when the soil is in an air-dry condition. An early ammonia application on well-drained soils after the middle of September has been shown to lead to the same yields as those from late fall and spring applications. Thom Weir is an agronomist with Farmer’s Edge. He can be reached by emailing thom.weir@farmersedge.ca.